The October meeting of the Goschenhoppen Historians will feature a presentation on the proposed restoration of the Wetzel Sawmill by Don Orcutt, one of the leaders of the restoration effort. Located on the Unami Creek at the intersection of Swamp Creek Road and Magazine Road in Marlborough Township, the mill site has been occupied by a number of waterpowered industries since the mid 1700’s. Some of the earliest uses were for the production of black powder. A number of powder mills were located both upstream and downstream from Sumneytown throughout the 18th century and well into the 19th. 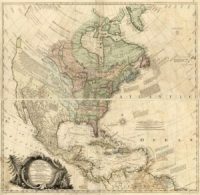 The manufacture of gunpowder was extremely dangerous and several noteworthy explosions in the Sumneytown area were reported to be heard as far afield as Reading and Norristown, although none seem to be attributed directly to this site. The mill building that’s currently being restored dates to the mid 1800’s and there’s a wonderful picture of the mill taken about 1890 by H. Winslow Fegley, noted early photographer and chronicler of southeastern Pennsylvania people and places. It is this photo that is being used as the design template for the restoration project. 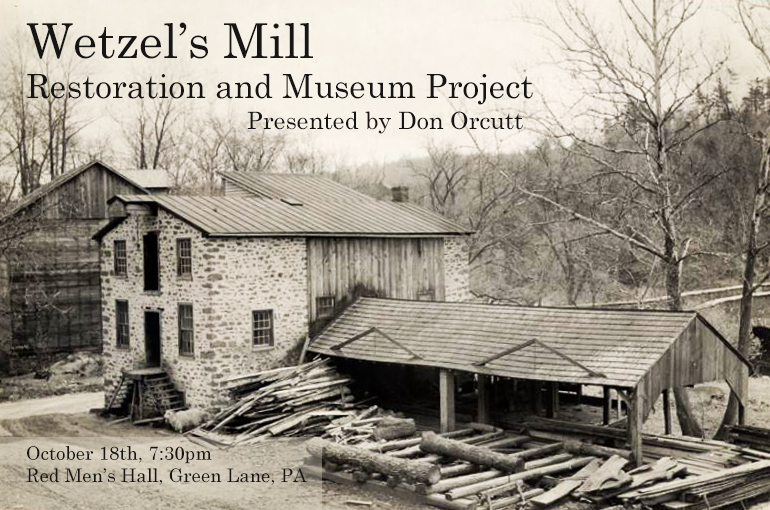 Mr. Orcutt will describe in detail the history of the structue and the group’s plans to restore both sawmill and gristmill functions to the Wetzel Mill, and eventually establish a museum and learning center at the site. Interestingly, the Wetzel name has little historical significance to the original structure or any of the preceding uses of the site as it came into use only after being acquired by a John Wetzel in 1923.